We had so much fun participating in the Colorado Winter Bridal Showcase recently! Our booth stayed busy throughout the event with our gals offering free false eyelashes and free 5-minute hairstyles. Mya Therapy provided free chair massages to many happy (and relaxed) attendees. Mya Therapy provides the free 60-minute massages that come with each session, so we were excited to have them there with us. Mya Therapy provides mobile massage, so you don't have to go anywhere for a massage -- they come to you! It's an awesome experience and we personally use them all the time. We also did a giveaway for five $200 gift certificates and Ally gave away a Little Black Dress package. You can see more of Ally's services here. The winners have already been notified, so make sure you check your email! In addition to the giveaway, we also gifted the first five women to book a boudoir shoot with us with Too Faced Boudoir Eyes palettes. We love this beautiful palette. It's full of lovely neutral shades that work with any skin tone. We also love that the product is paraben- and cruelty-free. If you didn't attend the bridal fair, you really missed out. By the time women got out of Ally and Kaylee's chairs, they all looked pretty glamorous. It's really incredible what Kaylee can accomplish in 5 minutes. Her work got a lot of compliments and brought a lot of women back to our booth after they'd seen the work she'd done on someone else. Ally also got to demonstrate her airbrush makeup. I swear that machine (and Ally) are filled with pure magic. The airbrush makeup makes editing a breeze and during weddings brides can even cry and you'd never be able to tell. 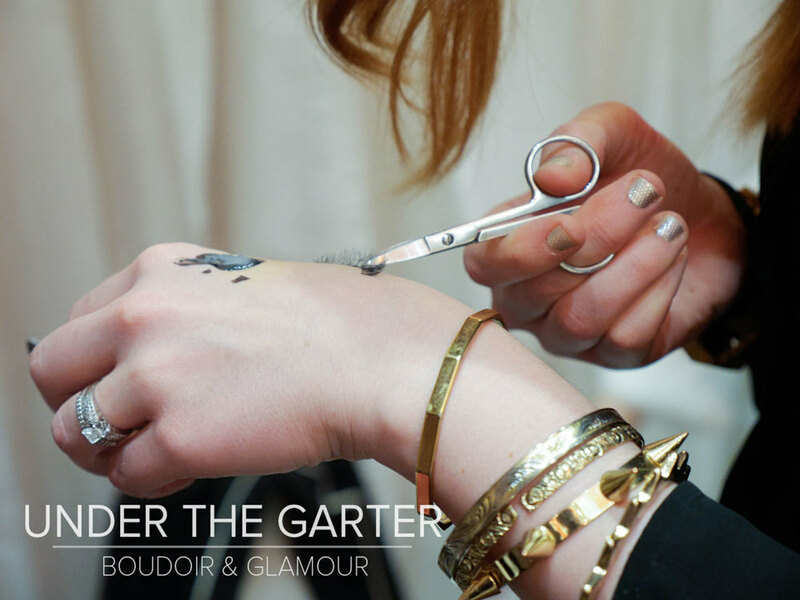 Ally was able to stencil fun designs on attendees hands to show just how long lasting the airbrush makeup really is. Ally also helped an adorable little girl feel glamorous by applying some lipstick on her while mom stood by. I know we say it a lot, so it was nice to show people just how talented and friendly our gals really are. There's nothing they can't do and we feel so lucky to have them. Ally also helped us a LOT when it came to chatting with the bridal fair attendees. Our booth stayed SO busy the entire day that it was hard to talk to everyone. The event ran so smoothly and the placed was PACKED thanks to the fabulous organizers Privé Events and DTC Doubletree. We've sort of fallen in love with Privé Events. If you don't have a wedding planner yet, be sure to check them out. 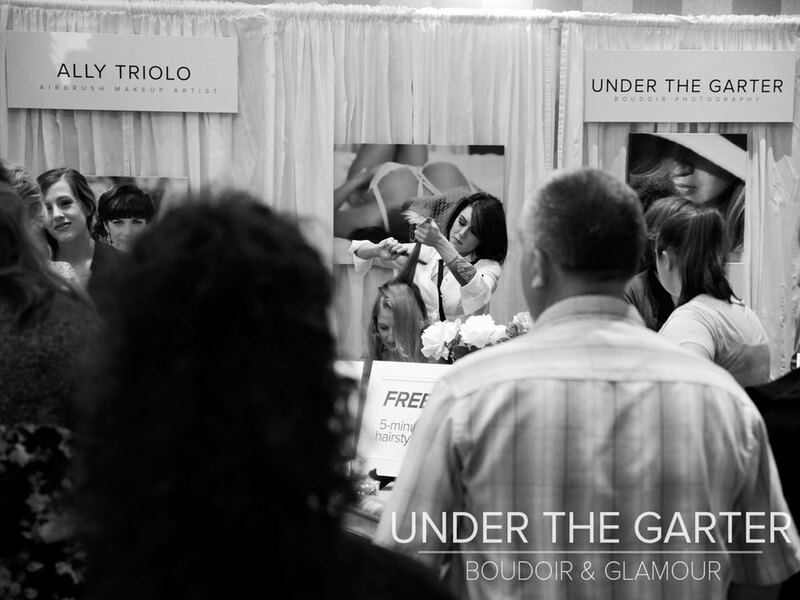 Missed us at the Colorado Winter Bridal Showcase? You can see us at the Something Blue Bridal Show at The Chateaux at Fox Meadows. We'll be gifting the first five clients with Too Faced Boudoir Eyes palettes at that event as well.